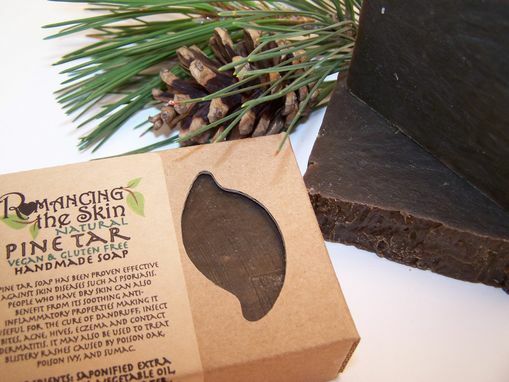 This Natural Medicinal bar weighs between 4.6 oz - 5 oz. Ingredients: Saponified Extra Virgin Olive Oil, Vegetable Oil, Coconut Oil, Distilled Water, Pine Tar, Sodium Hydroxide (Lye) & Safflower Oil. 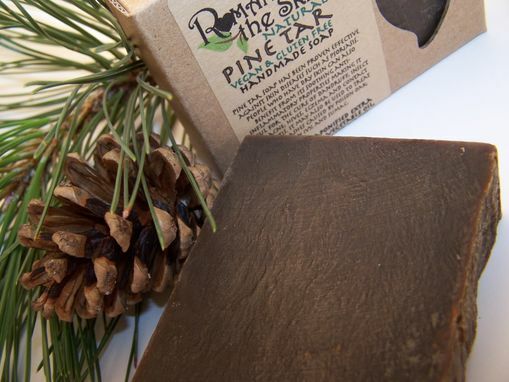 Pine tar is the end product of pine wood carbonization due to extreme heat. Commonly used as wood preservative, it has always been a traditional solution for treating animal wounds and infections. The natural oil of pine wood is retained during carbonization. So, it could help your skin by adding moisture to it during application. 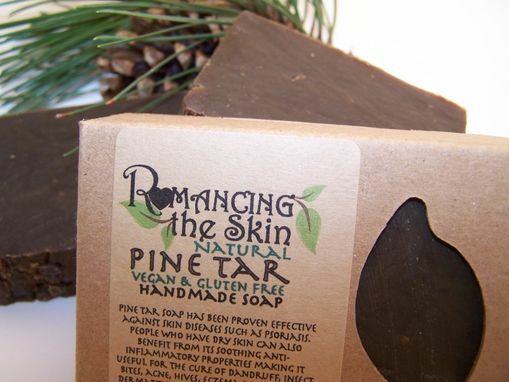 Pine tar soap has been proven effective against several skin diseases such as psoriasis. 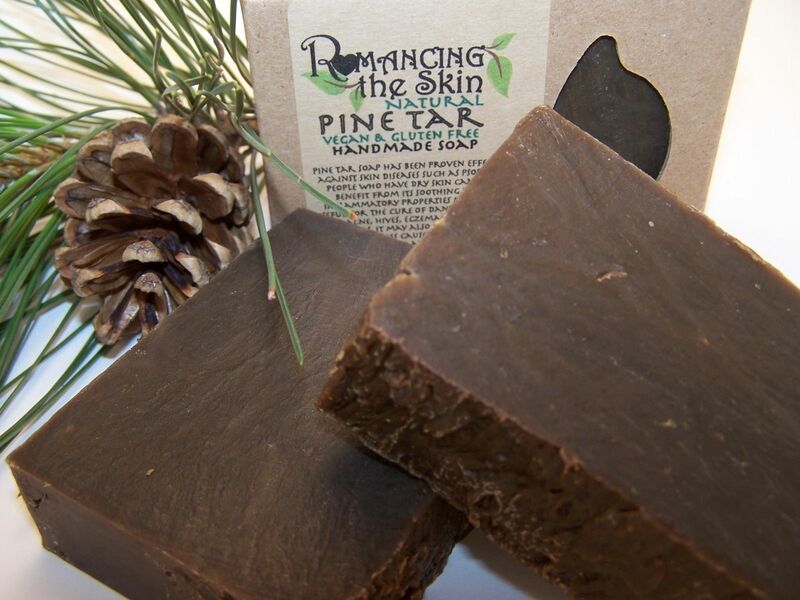 For decades, washing the infected area with pine tar soap has offered relief from the intense itching that accompanies the fungal infection. 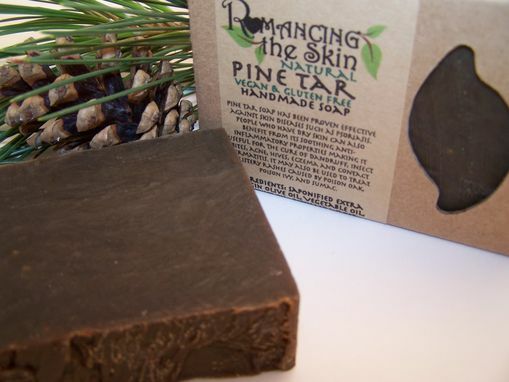 People who have dry skin can also benefit from pine tar soap. Its soothing and anti-inflammatory properties make it useful for the cure of dandruff, insect bites, acne, hives, eczema and contact dermatitis. 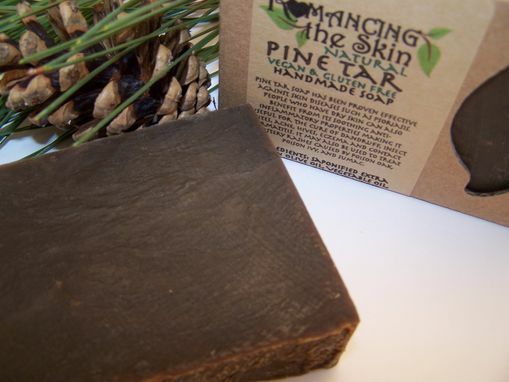 You can also use it to treat blistery rashes caused by poison oak, poison sumac and poison ivy. It is also known for its anti fungal effects, which can make it an excellent deodorizer for smelly feet and armpits.